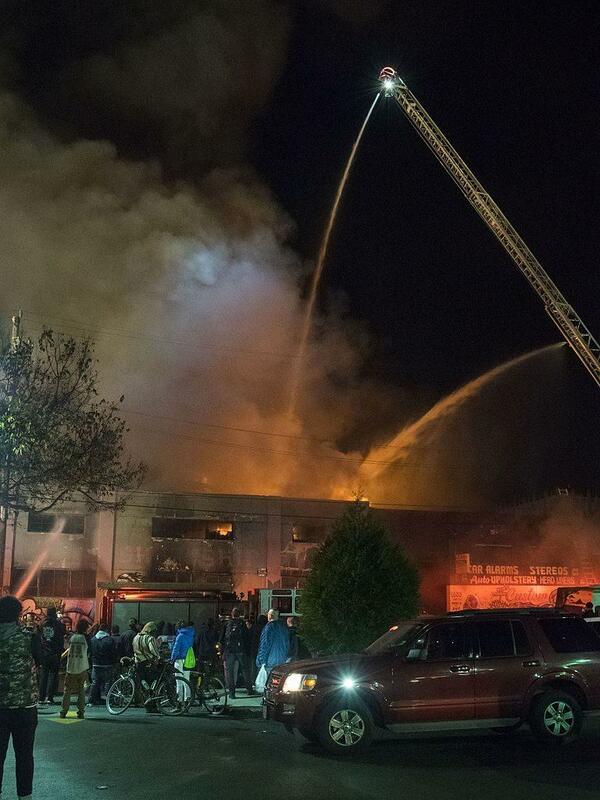 Last week, Basemental interviewed a local musician who lost people close to him in the Ghost Ship warehouse fire on Dec. 2 in Oakland, California. That piece sparked a discussion of safe spaces for artists, which Meyer continues this week. Exploiting tragedy to advance an extreme political agenda is a known strategy that has been employed by the right for decades. The Islamophobia stoked after 9/11, which paved the way for endless military campaigns in the Middle East, is one example. And if the election of Donald Trump wasn’t enough of a blow to human decency — and to the rights of those most on the margins of power, including artists — the Ghost Ship fire opened even more floodgates. Venues from Denver to Baltimore to Providence have been shuttered since the Oakland fire, thanks at least in part to our 4chan friends attempting to “MAGA” — to Make America Great Again. At least one venue in Western Mass has been listed on their message boards as well. Arts spaces have already been squeezed by gentrification and cold-blooded real estate developers building condos, displacing anyone who can’t or won’t pay grossly marked-up rents. As many people know, one of the biggest real estate moguls in Northampton also owns many of its concert venues, pushing musical acts that aren’t “profitable” to the periphery. Just this past week we saw Shaw’s Hotel on Main Street in Northampton — which, before it was condemned, provided refuge to the mentally ill — demolished in favor of what will become new condos. Many arts venues in cities and even some rural areas are being stripped of diversity, and many that were able to hold on have done so in the shadows, in dilapidated or unsafe spaces, away from the fire marshals. One of the things that makes writing this column tricky is keeping many of the venues I visit anonymous and out of the spotlight for exactly this reason. As trolls play a spiteful game of whack-a-mole on underground arts spaces, scenesters have been scrubbing their profiles online, wiping them clean of addresses, pictures, and many signs of life. Databases that touring bands have relied on to find out-of-town shows are going dark too, as the underground — often hard to locate to begin with — hides out waiting for the storm to pass, and to figure out a Plan B. Ditch Facebook? Secure communications? A complete digital detox? But as much as encryption — and making sure our fire exits are marked — is important and necessary, we owe it ourselves to also play offense, and continue to fight for the scene — and the world — we want and need. Artists deserve safety, period. That means affordable venues that aren’t death traps. It means shows where attendees’ personal space is respected. It means healthcare, too. Acknowledging this, then demanding it, won’t be easy. But it is necessary to stop the trolls and save our scene.